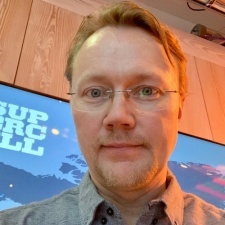 The former CEO of PlayRaven Lasse Seppänen has joined Clash of Clans developer Supercell as a producer. Strategy games specialist PlayRaven, which has worked on titles such as EVE: War of Ascension, Spymaster and Robocide, was bought by Angry Birds outfit Rovio in November 2018. The studio had 25 employees at the time. In a statement to PocketGamer.biz, Seppänen said he took the opportunity to join Supercell so he could spend more time with his family and also return to game development. He’ll be working on an unannounced title at the Clash Royale studio. “PlayRaven was acquired by Rovio on November 30th, 2018 and the development team as a whole, including its creative and operational leadership, transferred over to Rovio,” said Seppänen. “On that very day, I knew the team had found a good home. Rovio is a strong public company with a solid cashflow and a strong portfolio of successful titles. I have a lot of respect for them and have no doubt that the ex-PlayRaven team will do well there. "However as I was personally not involved in PlayRaven’s development, this new situation gave me the rare opportunity to make new choices regarding my career. “I’d say Supercell became my destination for a couple of reasons. First of all, I had the rare opportunity to move back into development and work on a game that I am personally passionate about. “Secondly, I could combine this opportunity with a better work/life balance. As PlayRaven’s CEO my work had, out of necessity, turned out to be almost entirely business development. That meant a ton of travel and lots of late night international phone calls. Seppänen co-founded PlayRaven in 2013. Prior to that, his credits include COO of Remedy Entertainment and head of studio at Digital Chocolate’s Sumea studio, amongst other roles.